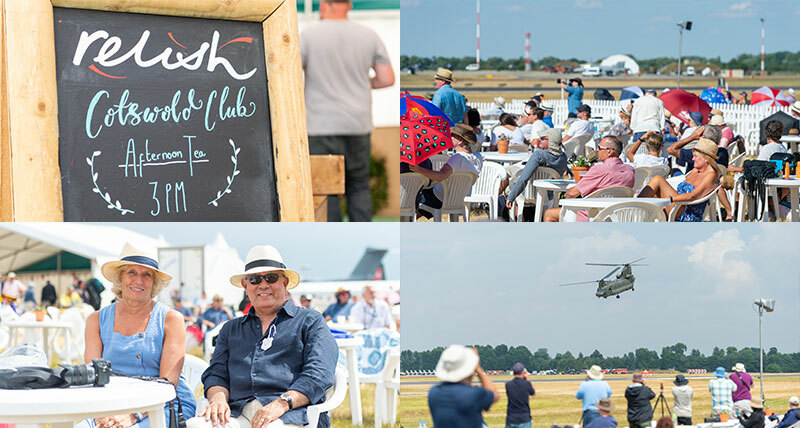 The Cotswold Club is the Air Tattoo's summer garden. 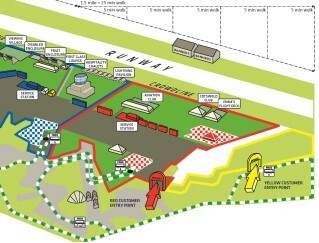 The enclosure is directly on the crowdline which gives you a perfect view of the fantastic flying display. Please note. Children aged 5 and over require a ticket for the Cotswold Club. Children under the age of 5 are not permitted in the Cotswold Club. Access to the Cotswold Club is across grass, so those with restricted mobility should bear this in mind when booking. Our brilliant volunteers are there to ensure that you have a fantastic time at the Cotswold Club if you have any concerns or questions please do ask! To compare the Cotswold Club with our other enclosures, please click here. "My second visit and I enjoyed it enormously"
"We enjoyed the Cotswold club, the food was good"
"The Cotswold club was brilliant!" "The Cotswold Club was well worth the extra expense". "All staff at the Cotswold club were exemplary. We will definitely book up again for next year."